To ensure the school kept its track record of consistent high scores, faculty, staff and students all played a significant role in creating a culture of excellence. They remained focused squarely on exemplary performance, foreseeing and overcoming any obstacles that might have affected the National Council Licensure Examination for Registered Nurses (NCLEX-RN) pass rate. The school was also fortunate to have on staff a proud alumna, Amber Santos, who earned her BSN in 1998 and MSN and MBA in 2006 from JU. 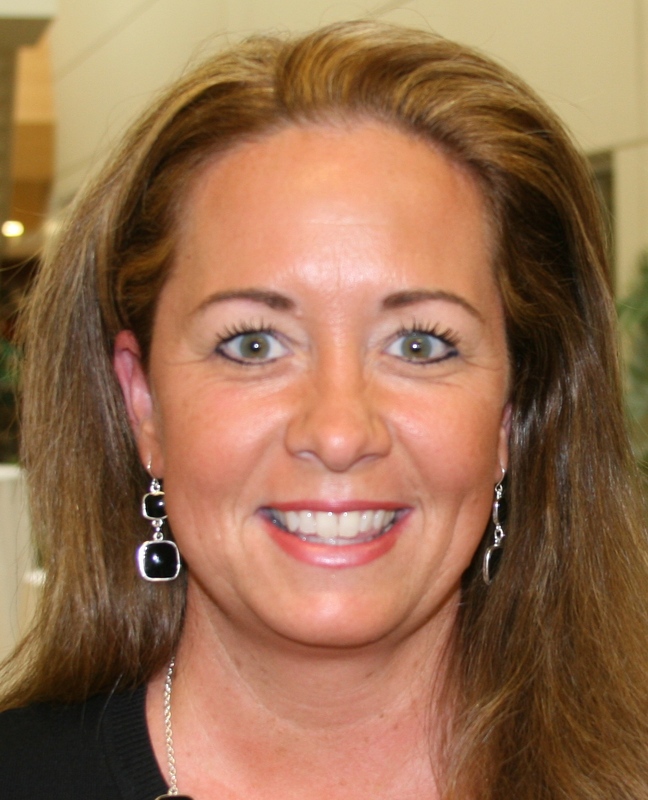 A Clinical Assistant Professor of Nursing, she was asked in 2014 to serve as Director of Undergraduate Nursing Programs. Santos has a respect for the school’s scholarship and rich history; in fact, as “a reminder of who we truly are at our core,” she immediately placed a photo of the original School of Nursing – literally a little white house – that still hangs in the Undergraduate Director’s office. Santos’ MBA was put to good use: NCLEX ad-hoc committees were established. Action plans were created and rolled out. Metrics were gathered and analyzed, and the team went “back to the basics,” as Santos describes. After bringing all of her David College of Business organizational skills and knowledge to the challenge, one thing stood out to Santos: the looming possibility that the “Diseconomies of Scale” familiar in industry could also threaten proficiency in a higher ed setting – specifically, JU’s School of Nursing. Santos even vetted and confirmed the likelihood with DCOB Economics Professor Dr. Hassan Pordeli. “I learned in school that the main cause of diseconomy of scale is how difficult it is to control and coordinate a firm’s operations as it becomes a large-scale producer,” she noted. As one might guess, Diseconomies of Scale means the opposite of Economies of Scale: too much growth can sometimes lead to weakened quality of output, as communication, discipline and passion begin to break down (just to name a few). “We had to make an adjustment. Everyone had to come to the table with open minds and ideas, and look at these challenges analytically,” Santos said. “Everyone involved had to have trust and respect for one another, we needed support from our leadership team, creativity, and passion for the undergraduate program – which is the root of the tree of this school. Now the fruits of that labor are here: The second quarter 2017 NCLEX-RN results posted recently by the Florida Board of Nursing for the Keigwin School of Nursing’s traditional pre-licensure BSN graduates shows JU maintains a 100 percent pass rate for this calendar year. Fifty-six graduates have taken the test, and 56 have passed. All of that during spiking enrollment that has added more than 200 additional students in doctoral, masters and four-year bachelors Nursing programs since 2013. “We are incredibly proud of our recent graduates and the faculty who have clearly prepared them to be successful,” Said Dr. Cheryl Bergman, Associate Dean of the Keigwin School of Nursing. Cultivating a “continuity of education.” This helped foster relationships among faculty and students. Faculty who might teach a 200-level course would also teach later, higher-level courses, so they could maintain relationships with their students, and become familiar with their study and work patterns. Hiring more faculty and staff, and urging those already on board to know that their opinions and insights mattered. Rising enrollment in the Master of Science in Nursing and Doctorate of Nursing programs had the potential to pull attention and resources in other directions, but faculty were able to adjust and adapt to the new workloads. This couldn’t have been accomplished without Brooks Rehabilitation College of Healthcare Sciences Dean Dr. Christine Sapienza and Dr. Bergman tirelessly fighting for the cause. “We even hired an External Clinical Nurse Coordinator who went out into the community and met with our adjunct faculty to keep them engaged and interactive with our students,” Santos added. From that effort, new ideas and attitudes helped create a real sense of urgency and importance to every undergraduate-level course. Heading off anxiety: data showed performance sophomore year and ability to manage stress from that point on had a huge impact later on with test scores. Faculty started calling students more often, offering a support system, reviewing content, discussing how they studied, offering test-taking strategies, and giving tips to decrease anxiety and worry. Even techniques such as acupuncture, relaxation training and biofeedback were offered, and some students implemented these suggestions. Beyond the metrics and additional resources, the key factor in student success was listening and meeting them where they were with their individual needs and attitudes, Santos said. “I can’t tell you how many students our faculty talked to prior to and after taking the exam who were clearly experiencing high stress and anxiety,” Santos said. “Students can get incredibly stressed, and I feel some of this anxiety is because many of our community hospitals want to hire our students even before they graduate; therefore, if they fail the NCLEX, they may have just lost their opportunity with the hospital. This result is truly life-changing. After three years helping lead the charge, Santos has handed the baton to Dr. Jessica Shearer (also a JU grad), who assumed the role this year as the Director of Undergraduate Nursing Programs. The trend of consistent superb exam pass rates will continue, Santos added. 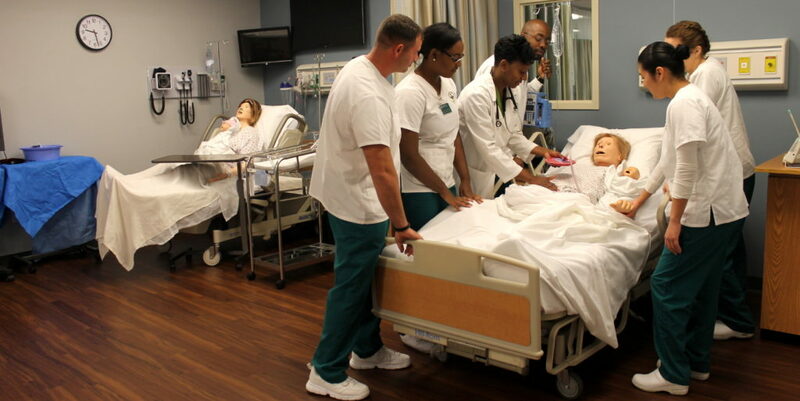 For more about the Keigwin School of Nursing, visit www.ju.edu/chs/nursing.